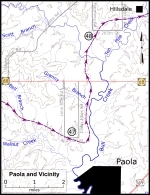 After crossing Ottawa Creek, the guerrilla force headed east and skirmished with their Federal pursuers a little northwest of Paola, Kansas. Looking east from Bull Creek Fight tour stop. Looking west from Bull Creek Fight tour stop. 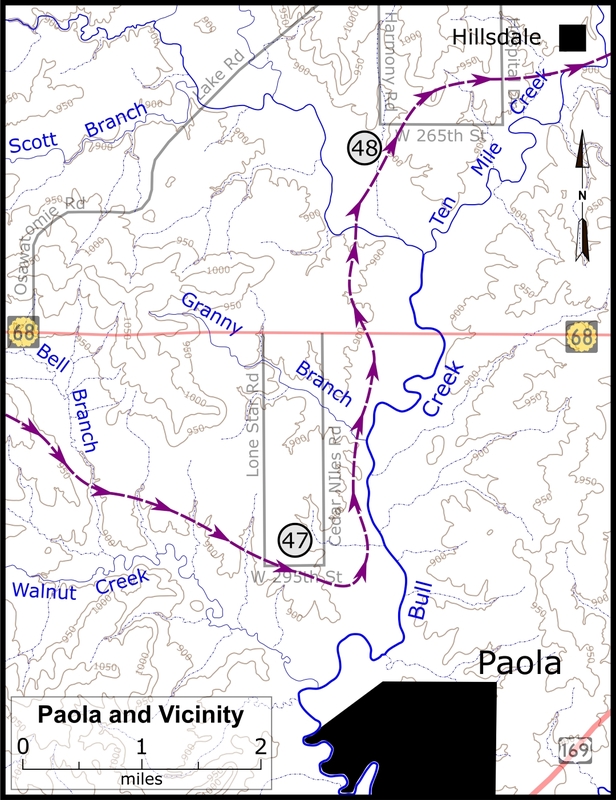 Map showing location of the Bull Creek Fight tour stop. Click on thumbnail to load high resolution version of the map.